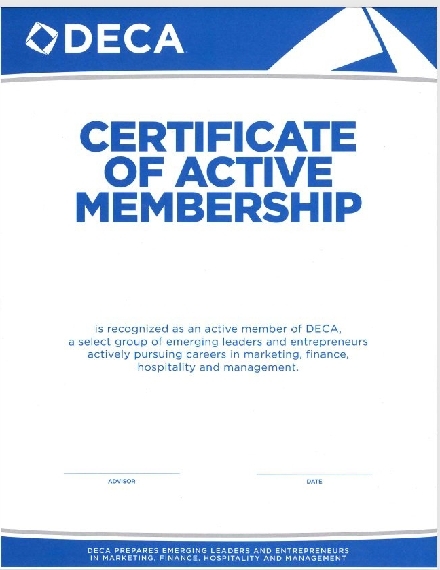 A membership certificate is basically a certificate that signifies membership of an organization, event, or activity. 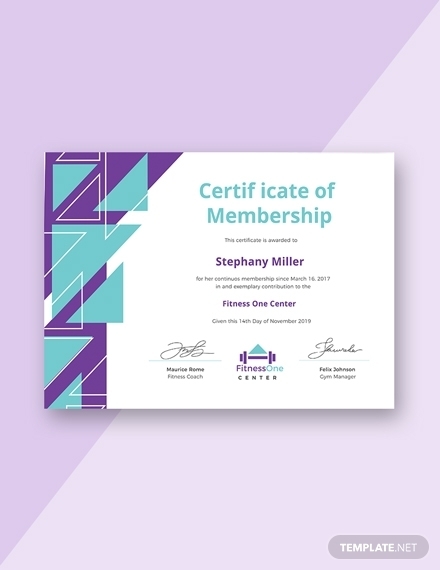 Similar to other types of certificates, a membership certificate is earned and requires for the individual to attain or accomplish a certain number of processes to gain membership as well as the membership certificate. 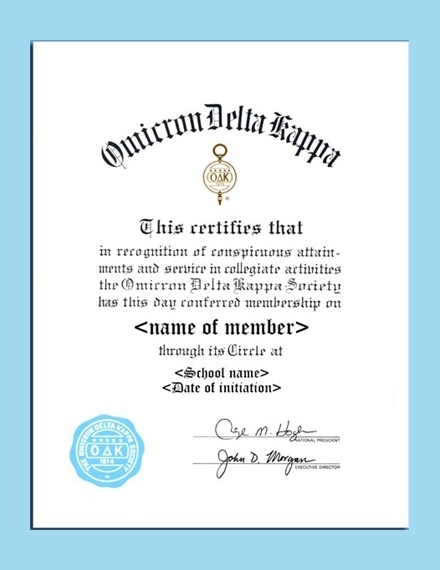 In this article, we will be helping you create a membership certificate. We have provided you with examples and templates that you can download for free. We have also provided you with simple tips as well as steps in creating a membership certificate. Read on below! 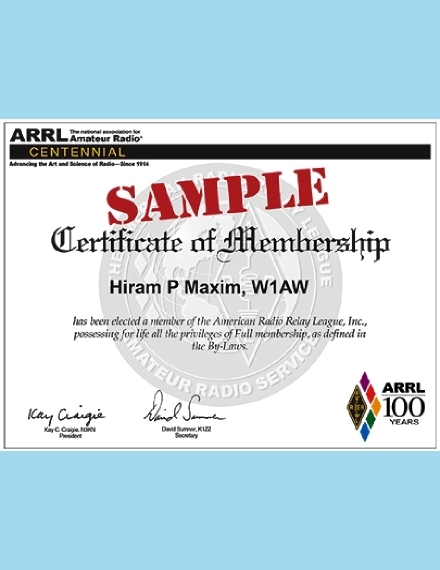 Listed below are the elements of a membership certificate. Make sure to include all the elements when you will be creating a membership certificate. 1. 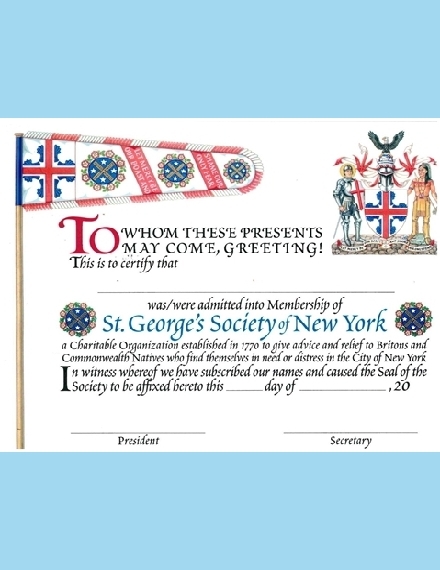 Name of the certificate recipient: The name of the certificate recipient is one of the first things that should be placed in the membership certificate. A membership without a recipient and without a name is basically useless. 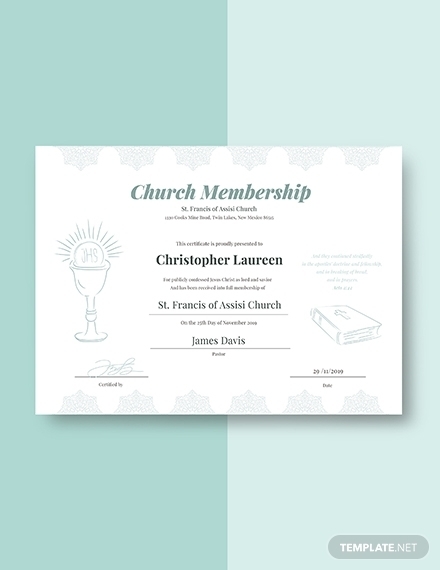 When creating a membership certificate, you should also consider the font size of the name as it should not take up too much space in the certificate. 2. 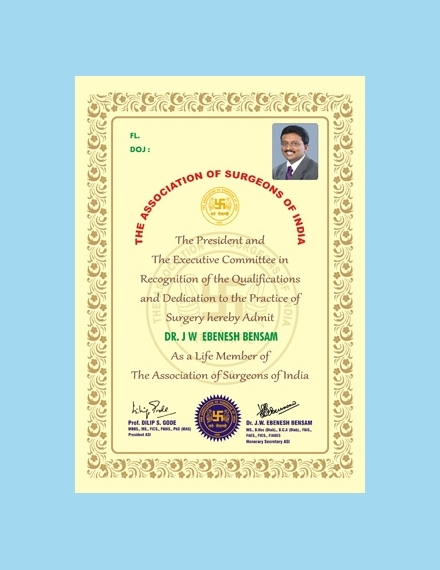 Purpose of membership certificate: Similar to the recipient, the purpose of the membership certificate is also a very important element. You don’t just give out certificates just for the sake of it, it needs to have a purpose. 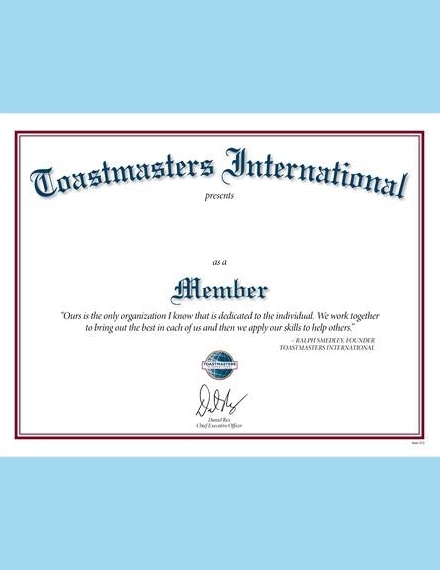 The purpose of the membership certificate can be simply stated as “attained membership to…” There is no need to write a lengthy purpose as the space in the membership certificate is very limited. Take a gander at participation certificates. 3. Date when certificate was given: Aside from the name of the certificate recipient and purpose of the membership certificate, the date when the certificate was given is also another important element in a membership certificate. This is for documentation and verification purposes as the organization wants to keep track of membership certificates are given out. 4. 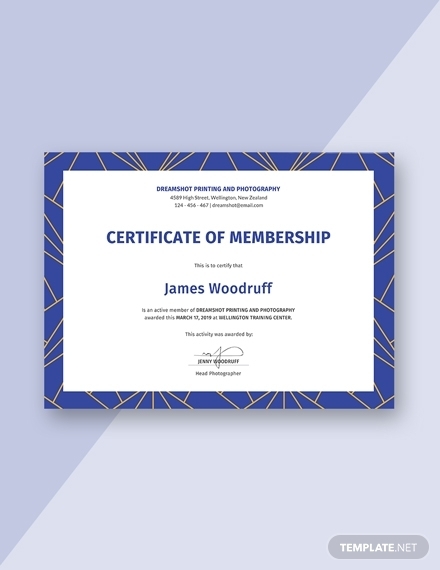 Graphics and pictures: Graphics and pictures are also an important element in a membership certificate as they add to the visual element to the membership certificate. The membership certificate is not a poster or tarpaulin where you can add multiple graphics and pictures. Limit the graphics and pictures to the borders as well as the logo of the company or organization. 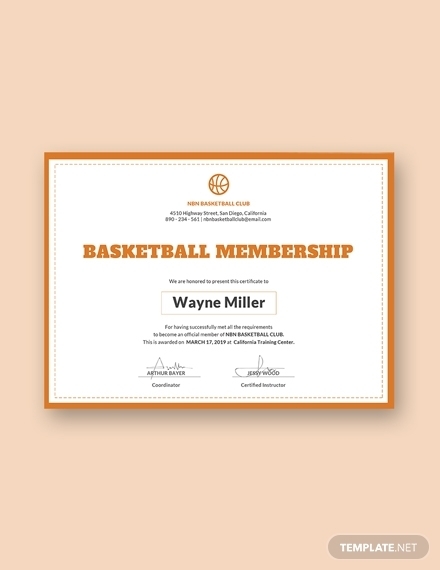 You can also add images in the background of the membership certificate. 1. Gather necessary information: Before you start creating the membership certificate, you should first gather the necessary information you will incorporate in the certificate. These information include the full name of the certificate recipient as well as the certificate citation (e.g. venue, date, and purpose of the certificate). Make sure you will check and double-check this information so that you can create an effective membership certificate as well as avoid creating errors once the certificate has been printed out. You have to remember that you must avoid any type of errors when gathering information. 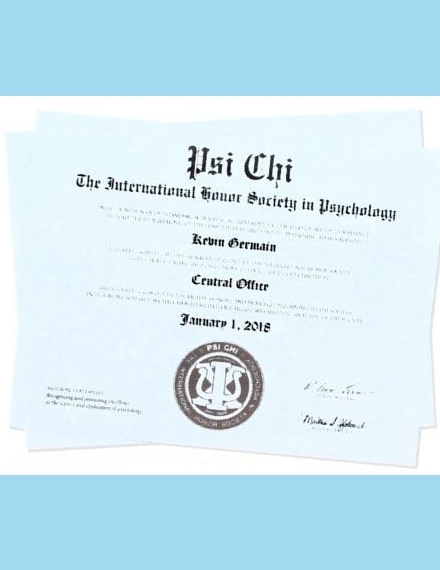 Once the certificate will be printed out, it will be difficult to fix the error unless a new batch or set of certificates will be printed again. It is advisable that you have a partner or team that will check the information once they have been completely gathered mainly for verification purposes. An example is a birth certificate, where the details are very important and there should be no room for errors. 2. Create the design concept: Once you have all the necessary information at the ready, it is now time to create a design concept for your membership certificate. You can create a draft in a piece of paper or create the draft in a graphic design software (which will be discussed later). 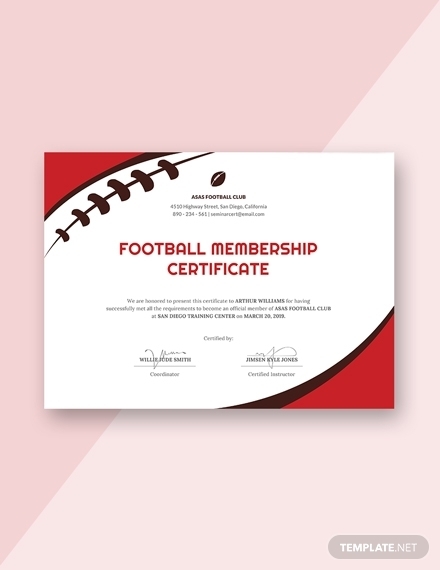 When creating a membership certificate, there is no limit on the designs (e.g. images, colors) that you will be using. 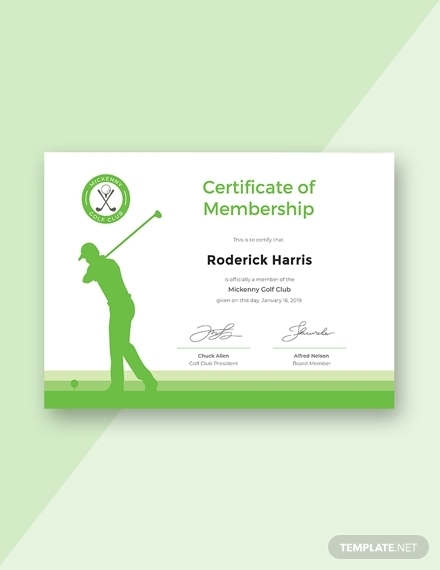 Designs basically add to the visual element of your membership certificate. But this should not be an excuse to overstuff and add elements that make the certificate messy and disorganized. You still have to remember that a simple design is much better than an overstuffed one. Take a look at diploma certificates. 3. Choose a graphic design software: As previously mentioned, you can create a draft in a piece, or you can create it directly in the graphic design software. Make sure that you use popular graphic design software such as Adobe Photoshop or Illustrator when creating the membership certificate. These two graphic design software are the best in the business since they offer multiple functionality, with beginners being able to use these software without extensive training. If you are a beginner, it is highly suggested that you use Adobe Photoshop since it is much easier to use for individuals who have limited experience in graphic design. The learning curve for Photoshop is much easier compared to Illustrator. Once you have chosen your desired graphic design software, it’s now time to work on the actual membership certificate. 4. 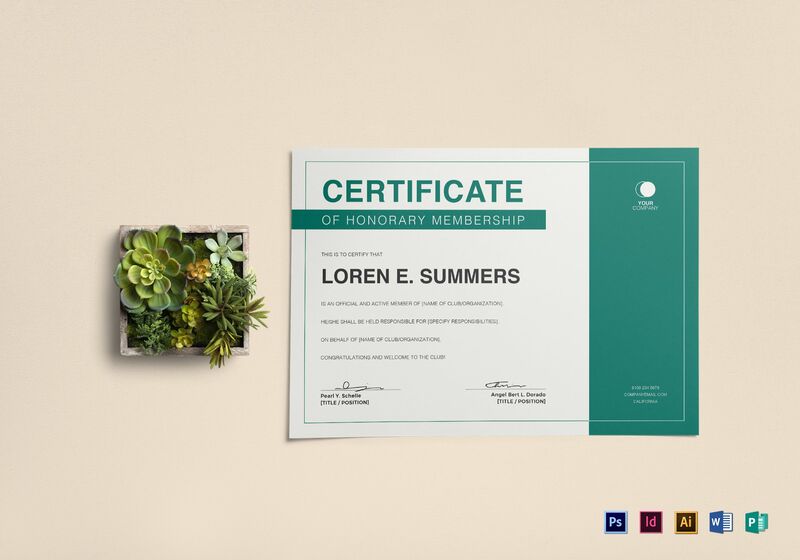 Incorporate all the elements: Incorporating the elements basically means you combine all the elements when creating the membership certificate. 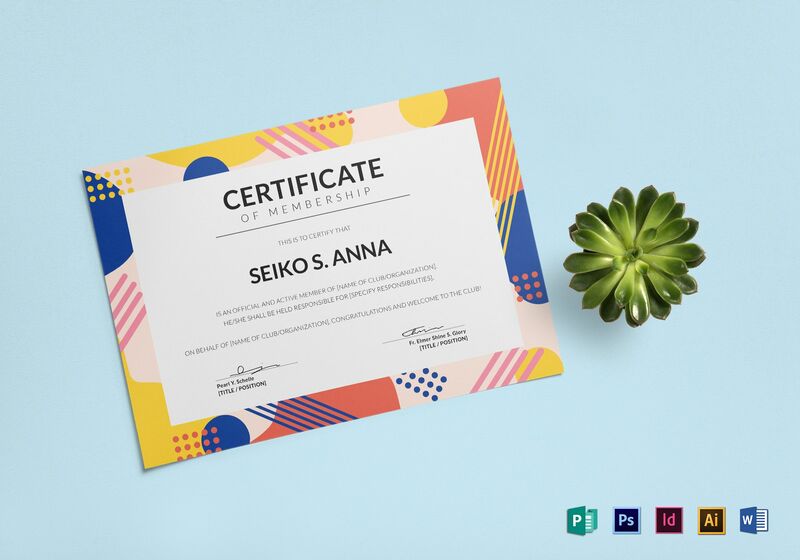 The actual creation of the certificate focuses on this step, so you have to make sure that you incorporate all the elements as well as focus on the text as well as the images. You can do everything (e.g. incorporating all the elements) in a graphic design software. As previously mentioned, if you are still a beginner, try and use Adobe Photoshop first since its functions and tools are easier to handle compared to Illustrator, but this does not mean the Illustrator is difficult to use. 5. Edit and revise: Once you have accomplished creating the membership certificate, you should now then check for errors. These errors pertain to text and image placement as well as grammar/sentence structure. You should also take note of errors when it comes to spelling, punctuation, and capitalization as these are the common problems when creating any sort of design (not just documents). As previously mentioned, it will be very difficult on your end if you notice errors after you have printed out the membership certificate. It will be very costly especially if you will be printing numerous batches or sets of certificates. That is why you should check and double-check (or even triple-check) first before you print out the membership certificate. 1. Focus on text: When creating a membership certificate, you should focus on the text. In this sense, text pertains to name of the certificate recipient as well as the certificate citation (e.g. venue, date, and purpose of the certificate). The text comprises the main content of your membership certificate, so you should focus your time and energy on the text. You might be interested in medical certificates. 2. Limit the use of images or colors: Since you are focusing on the text, try to limit the use of images or colors. The images and colors should not be the main focus of your membership certificate, so try to tone down the use of images or colors. If you are concerned with the overall look of the certificate, lighter shades of blue, yellow, or green are ideal for the certificate color background. 3. 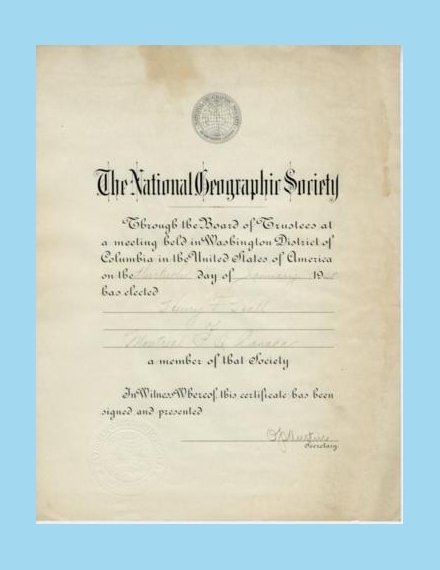 Use a landscape orientation: Any type of certificate always uses a landscape orientation, so it should not be any different when creating a membership certificate. Avoid using a portrait orientation as the information (especially the text) will not fit. You may want to check out training certificates. 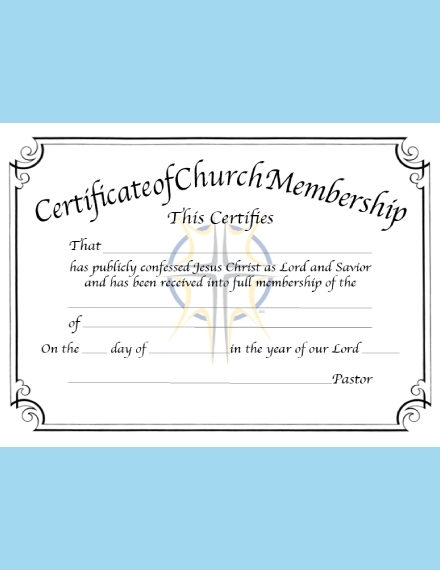 What is a membership certificate? 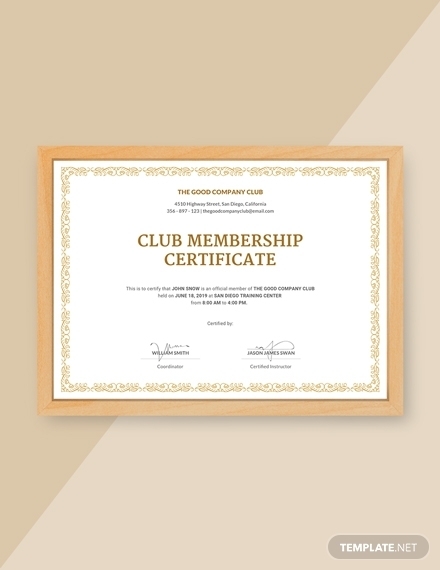 A membership certificate is a certificate given out to individuals who have recently attained official membership to a group, organization, or even an activity or event. How do you obtain a membership certificate? Depending on the institution you want to be a member of, you must complete or achieve the set requirements in order for you to become a member and thereby receive a membership certificate. We hope you found this article to be informative as well as helpful when you will be creating your own membership certificate.